Mine material is natural resource that cannot be renewable so that someday it can be expired. One factor that can impede extraction and process of mine material in mine is technology. Therefore, there is a need to find new technologies that is applicable to extract and process mine material that cannot be maximized by previous technology. Alternative energy is appropriately replacing natural non-renewable mine material resource. 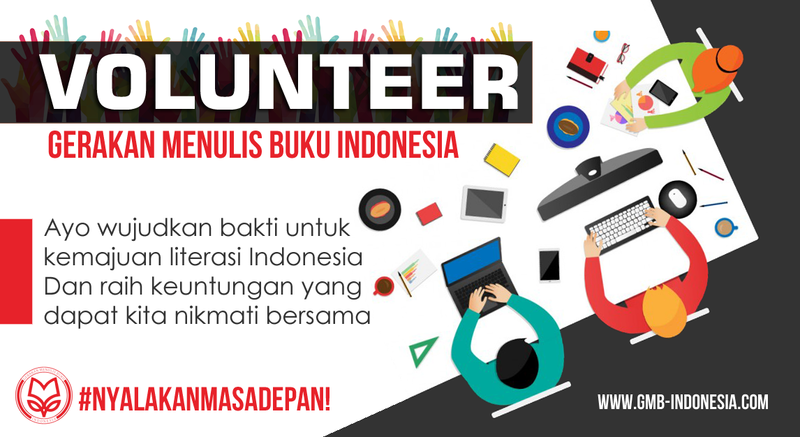 It can be in the form of introducing new technology and renewable energy to support sustainable development in Indonesia and also other countries in the world. The requirement of energy should be equalized by sufficient supply of energy resources where nowadays it requires a great quantity of energy resources to fulfill people needs. Energy utilization of non-renewable energy-resources excessively can cause energy crisis. The alteration of energy utilization pattern is appropriate solution to minimize people dependence to non-renewable energy resources. 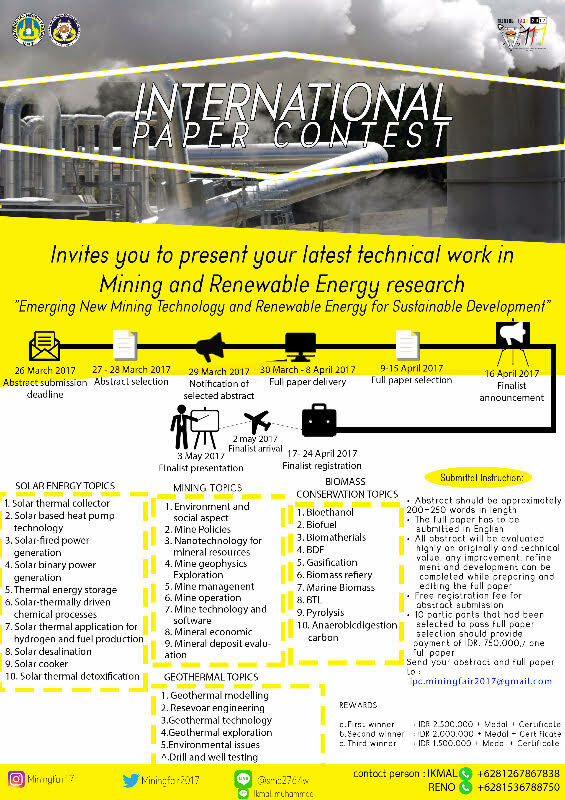 From International Paper Contest 2017, there is an expectation to get more innovations from participants to develop renewable energy resource and new technologies in mining to support sustainable development in the community. All finalists should attend National Seminar, Mining on Vacation, and Inauguration on May 4th – 6 th 2017. 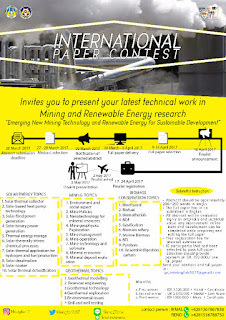 Ten best papers are invited to presenting its full paper. Transportation fee is charged to each finalist.